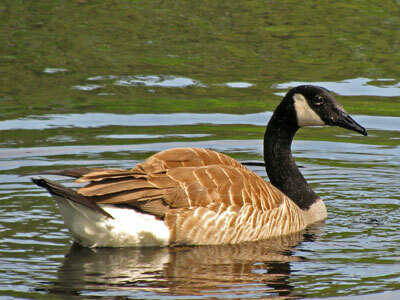 The Chesapeake Bay is home to resident and migratory Canada geese. Migratory Canada geese begin arriving in the fall and remain until late winter. In 2017, Midwinter Waterfowl Survey teams observed the most Canada geese (641,200) since the survey began in 1955. The 641,200 Canada geese observed in 2017 was higher than the previous record of 608,000 in 1981. According to Maryland DNR biologists, an above average hatch by the Atlantic, or migratory, population Canada geese coupled with an influx of resident Canada geese from states to the north of Maryland contributed to the record high count in 2017. The 2016 Midwinter Waterfowl Survey Canada goose count (293,800) was one of the lowest in recent years. During the 2015 Maryland Midwinter Waterfowl Survey, teams observed large numbers of wintering Canada geese (504,700), mainly along the upper Chesapeake Bay. The Midwinter Waterfowl Survey has been conducted annually throughout the United States since the early 1950s. The Maryland survey results are ultimately pooled with results from other states to provide a measure of the distributional changes and long-term trends of waterfowl wintering in the Atlantic Flyway.